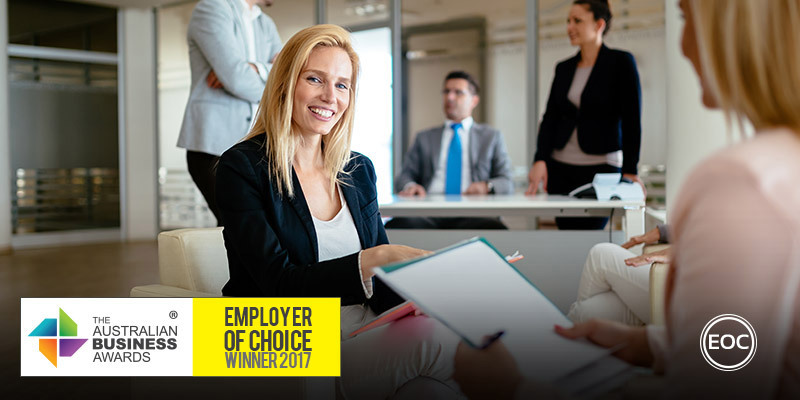 CrownBet has been recognised as an Employer of Choice in The Australian Business Awards 2017. CrownBet is 100% Australian owned. It is built on the powerful partnership between Crown Resorts and a group of wagering industry pioneers led by CEO Matt Tripp. This provides CrownBet with a distinct advantage over other major competitors who are foreign owned and lack the Australian wagering nous and experience of CrownBet’s management team. CrownBet’s head office is in Melbourne and have operations centres in Sydney and Darwin and are already approaching 400 staff in less than three years. Employee engagement is a key focus point for the organisation. They are continually looking for new ways to engage their employees through Purpose, by ensuring that their employees understand the connection between their work and the company’s strategic pillars and vision. The organisation has designed a bespoke leadership development program called ‘Leading the Way’. This course is run over four modules across a 12-month period and is initiated with 360 feedback at the commencement and then upon completion of the course to measure behavioural changes. The fast-track program has been designed to strategically develop our high-potential talent and prepare them for future leadership roles. Their high-performing culture is supported by targeted learning and development opportunities such as their Lunch and Learn program, whereby special guests present to staff on a range of diverse and relevant topics. They also engage technical experts to speak to specific teams of people on topics like coding languages and innovation. They manage performance through a Performance Agreement System. Within this, six specific KPIs are set to be achieved over a twelve-month reporting period. To support and guide their employees to achieve high performance, the KPIs are structured into three objectives. In doing so, employees can easily see how they are tracking against all aspects of their job role ensuring focus on personal development. Within the system there are two formal check in points: An Interim Review, which is done after 6 months and Final Review to assign an overall rating. They have a very competitive Short Term Incentive Plan (STIP) which, on top of a competitive remuneration package, enables individuals to be rewarded for discretionary effort and high performance. This plan is run over a 12 month period. They also recognise their best talent through our Long Term Incentive Plan (LTIP). This plan is run over a three year period. There is operate a formal peer-to-peer reward and recognition program called, Back a Winner. Whereby anyone across the business can nominate or can be nominated. All nominations are reviewed monthly by the Executive Team, with the monthly winner to receive a $250 voucher of the employee’s choice. At the end of the financial year, from the pool of monthly winners, an annual winner is announced who will receive an all-expenses paid trip to Bali.